The term “virgin” when applied to olive oil doesn't mean quality. There are four levels of virgin olive oil. The lowest grade of virgin olive oil is not fit for human consumption and designated for “other” uses, like making soap. The top of the line olive oil is extra virgin. This means it’s cold-pressed so the temperature during processing hasn’t exceed 86 degrees Fahrenheit. (2) It’s also supposed to meet high standards of acidity and taste. 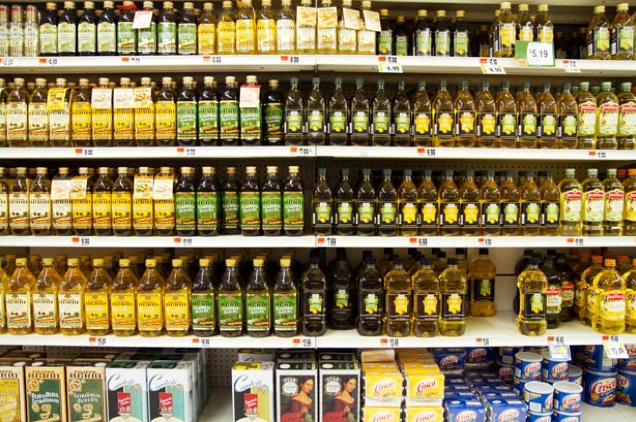 Not only will fake oil lack health benefits, it could actually do you harm. Six hundred people died and 25,000 more were hospitalized by bad oil in Spain. While that was highly unusual, I think you get the point. A test you can try on any olive oil you currently have is to stick it in the fridge and see if it solidifies. If it doesn’t, you definitely don’t have olive oil. If it does this means you may have olive oil. Turning solid will tell you that you have a mostly a monounsaturated oil, but it won’t rule out whether it’s sunflower, safflower, or canola oils have been added. It won’t reveal if your olive oil has been tainted with chemicals, flavorings, or coloring either. Editor’s Note: We were recently contacted by the maker’s of Pompeian Olive Oil who informed us that their brand “ is not only the first branded olive oils to carry the North American Olive Oil Association (NAOOA) seal, but since 2012, Pompeian Extra Virgin Olive Oil is the first extra virgin olive oil to attain the USDA Quality Monitored Seal.” Please consider this when making purchase decisions.